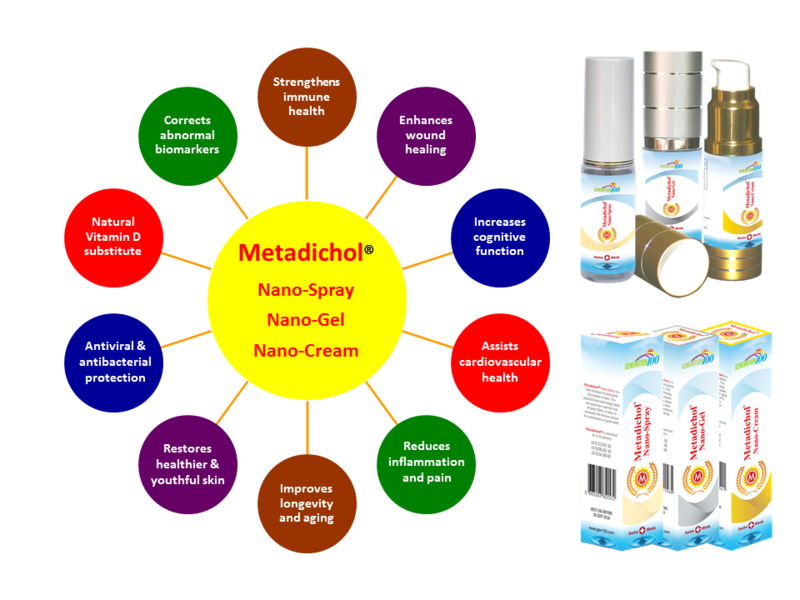 Metadichol® Nano-Spray is a nano emulsion of policosanol in liquid formulation. 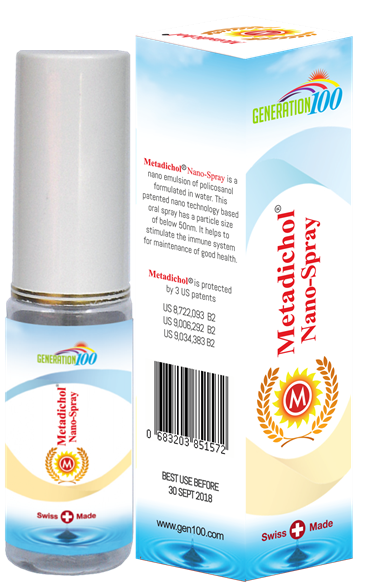 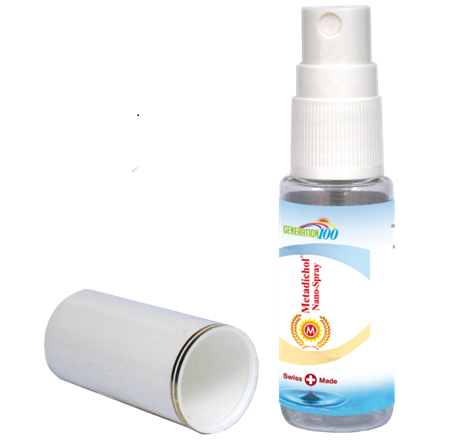 This patented nano-technology based oral spray has a particle size of below 60nm. 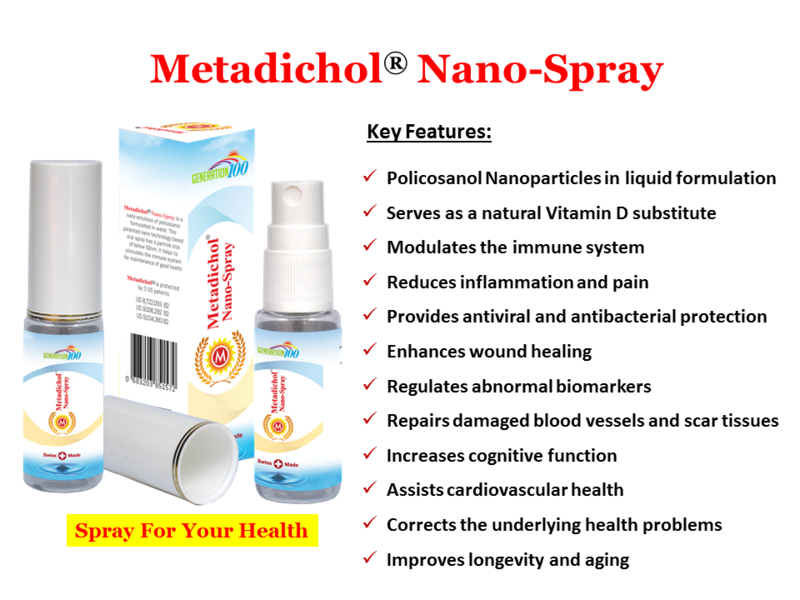 It helps to regulate the immune system for maintenance of good health. Contains no sugar, milk, egg, peanuts, yeast, gluten, artificial colors, flavors or sweeteners.